Evidence reported in the journal Current Biology on April 12 shows that sweet potatoes arose before there were any humans around to eat them. The findings also suggest that the sweet potato crossed the ocean from America to Polynesia without any help from people. The discovery raises doubts about the existence of pre-Columbian contacts between Polynesia and the American continent. "Apart from identifying its progenitor, we also discovered that sweet potato originated well before humans, at least 800,000 years ago," says Robert Scotland from the University of Oxford. "Therefore, it is likely that the edible root already existed when humans first found this plant." Scotland and colleagues set out to clarify the origin and evolution of the sweet potato, which is one of the most widely consumed crops in the world and an important source of vitamin A precursors. They also aimed to explore a question that has been of interest for centuries: how did the sweet potato, a crop of American origin, come to be widespread in Polynesia by the time Europeans first arrived? In fact, researchers have suggested that the sweet potato's early presence in Polynesia was evidence of pre-European contacts between Americans and Polynesians. The researchers combined genome skimming and target DNA capture to sequence the whole chloroplasts and 605 single-copy nuclear regions from 199 specimens representing the sweet potato and all of its crop wild relatives. The data strongly suggest that sweet potato arose after a genome duplication event. 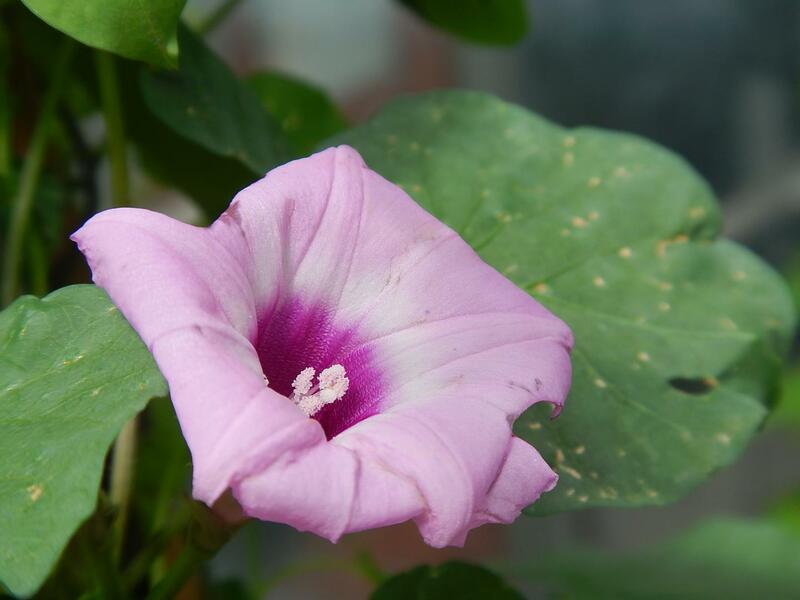 Its closest wild relative is Ipomoea trifida. The findings confirm that no other extant species was involved in the sweet potato's origin. Phylogenetic analysis of the DNA sequences produced conflicting family trees. However, the researchers report, those conflicting patterns can be explained by a dual role for I. trifida. Sweet potato arose from I. trifida and later hybridized with I. trifida to produce another, independent sweet potato lineage. "We demonstrate that the existence of those two different lineages is the result of an ancient hybridization between sweet potato and its progenitor," says Munoz-Rodriguez, first author of the paper. "We conclude that sweet potato evolved at least 800,000 years ago from its progenitor, and then after the two species became distinct, they hybridized." The findings come as good news for the future of the sweet potato. That's because the loss of genetic diversity in crops is a major threat for food security. One way to improve or reinforce desirable properties in food crops is to cross them with their closest wild relatives. So, Scotland says, the identification of the sweet potato's progenitor opens the door to a more accurate understanding of its potential role in sweet potato breeding. "Our results challenge not only the hypothesis that the sweet potato was taken to Polynesia by humans, but also the long-time argued existence of ancient contacts between Americans and Polynesians," Munoz-Rodriguez says. "These contacts were considered as true based on evidence from chickens, humans, and sweet potato. Evidence from chickens and humans is now considered questionable, and thus sweet potato was the remaining biological evidence of these alleged contacts. Therefore, our results refute the dominant theory and call into question the existence of pre-European contacts across the Pacific." The work was primarily supported by the Leverhulme Trust and the University of Oxford through the John Fell Fund.